The Transport sector has a plethora of uses for digital signage. Delivering Real-time travel data, Timetables, Customer Information, Traffic and weather or Advertising to keep its audience captivated and informed. 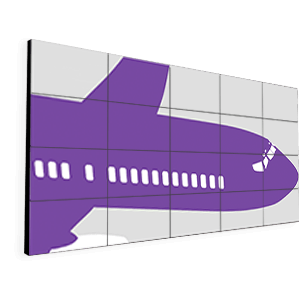 When one display’s not big enough, make an impact with our commercial grade video wall solution. Potentially an huge number of commercial grade displays or tiles can be combined to create you the ultimate video wall. Great for signage that needs to be seen from a distance. Interested? 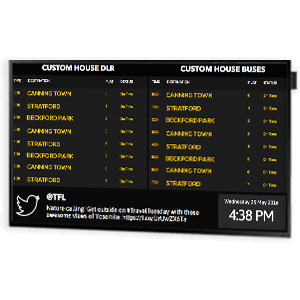 Display live data feeds such as timetables, flight information, weather, time or safety messaging to keep commuters ‘in the know’. Indoor, high-bright and outdoor versions are available. 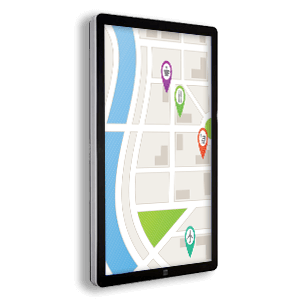 Get customers, staff and commuters to key locations with our Digital Wayfinding solution. Interactive or static layouts can both be extremely effective in displaying location information, creating an engaging and informative experience for the user. Interested? 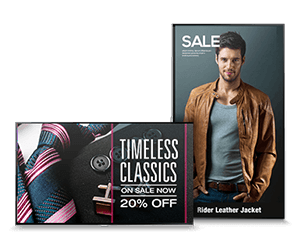 Whilst commuters are waiting, push those extra sales with Advertising displays. Advertising displays have proven to increase sales by up to 33%, footfall by 24% and impulse purchases by 20%! Making them an essential for any retail environment.